Do you get Knitting Daily TV? 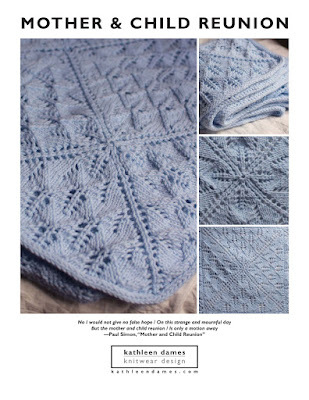 Frustratingly, I don't, but I did just download their new PDF with 13 helpful hints for knitting, which is nice and runs the gamut from cast-ons to the basics of spinning to a lace primer. And I say "frustratingly" because my Time-Warner cable box has a listing for Knitting Daily, but it's on channel "-1". I don't know about you, but I can't seem to get channel minus-one. We do get something called The Knit and Crochet Show, which is ... pretty basic. Knitty Gritty was, too, but Vicki Howell was enjoyable, and they did a good job photographing people in such a way that you could understand how they were knitting, which is particularly helpful when you are looking to expand your range of technique. I'd love a knitting show that went beyond the basics, and it sounds like Knitting Daily TV could be it. They are also offering a free download of the Cleo Kitty Slippers from Kristen Rengren's popular book Vintage Baby Knits .